HÀ NỘI — Non-performing loans (NPLs) of State-owned Bank for Agriculture and Rural Development (Agribank) kept at the Việt Nam Asset Management Company (VAMC) have dropped by over VNĐ9.4 trillion (US$401.7 million) to VNĐ9.59 trillion in the first half of this year, the bank’s latest audited financial statement showed. The largest Vietnamese bank by assets released its audited financial statement for the first half of 2018 last week, much later than other banks. The statements showed the bank’s total NPLs – including debts kept at both VAMC and Debts and Assets Trading Corporation (VNĐ196 billion) – were nearly VNĐ29.95 trillion by the end of June, accounting for 3.2 per cent of the bank’s total outstanding loans. This represents a significantly lower bad debt ratio than past rates – 4.15 per cent at the end of 2017 and 6.38 per cent at the end of 2016. Experts said the results mean it is feasible the bank will soon be able to bring its bad debt ratio down to below 3 per cent as required by the central bank. Agribank’s pre-tax profit reached VNĐ3.8 trillion in the first six months of 2018, up 37 per cent from last year. Irregular income surged sharply by 59 per cent to reach VNĐ2.16 trillion, primarily thanks to the handling of bad debts. The bank’s net income from lending activities increased by 11.9 per cent to VNĐ19.13 trillion for the period, the highest among Việt Nam’s commercial banks. Its net income from services was VNĐ1.61 trillion, up 27.2 per cent. 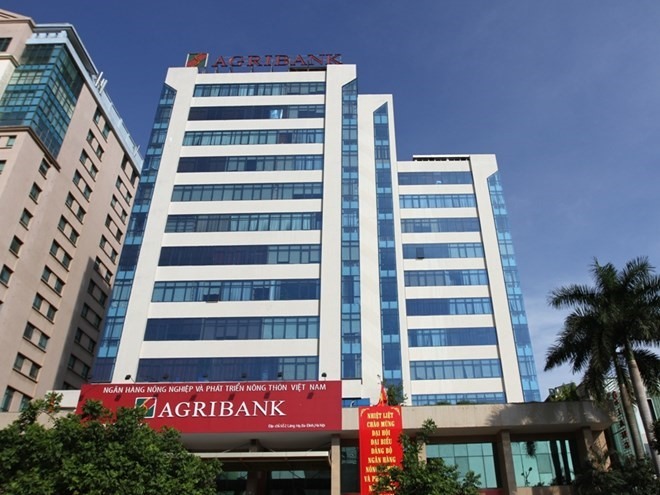 By the end of June, Agribank’s total assets were 3.9 per cent higher than at the beginning of the year, reaching VNĐ1,197 trillion. The bank’s total outstanding loans increased by 5.6 per cent to VNĐ925.21 trillion while mobilised capital climbed 2.5 per cent to VNĐ1,053 trillion.